While the conservation area in Pheasant Point, comprising a group of twelve quarry workers cottages in Minnamurra, Devonshire and Fitzroy streets, and the Bellevue guesthouse, were listed by the National Trust in 2012, they do not yet have the legal protection of being listed in Kiama’s Local Environment Plan (LEP). This looks likely to change with Council poised to commence the Gateway process which would allow the amendment to the LEP. According to Robynne Mills, a heritage consultant who lives in the conservation precinct, the area provides important physical evidence of Kiama’s 19th century history. She says the Pheasant Point Conservation Area forms part of the original crown lease granted to William Gard in 1844. “There is photographic evidence identifying a direct link between properties in Fitzroy St and the Gard farm complex. She says the area is the only surviving group of quarry workers cottages in Kiama where there has been no demolition or unsympathetic infill. The cottages were built on the subdivision created by William Geoghegan in the 19th century and the buildings and streetscapes remain in tact since that date. 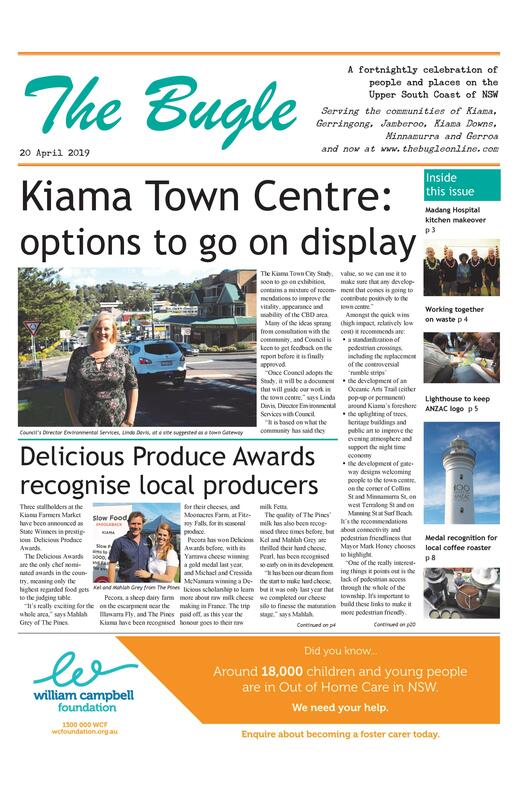 “They represent a period of Kiama’s history, 1876 to 1890, when the social and economic life of the community was based on blue stone quarrying. Robynn is keen to point out that a conservation area isn’t going to stop development altogether, but will work to ensure that any changes keep in line with the existing character. The Gateway process will require community consultation before Council votes on the changes to the LEP.